Bass Plastic Surgery PLLC offers a full range of the cutting-edge surgical and non-surgical services you’ve been looking for. Dr. Bass is an expert in facial rejuvenation and body contouring. Facial procedures include facialplasty/facelift/necklift/mini-facelift/, Injectables such as Botox, Restylane, Radiesse, and fat injection as well as energy based devices like Fraxel, Ulthera and others. Kybella, the new injectable medicine for submental fullness and fat, is a featured treatment. Body contouring with liposuction, laser liposuction (SlimLipo) and SculpSure non-invasive body contouring are also among the most popular treatments offered. 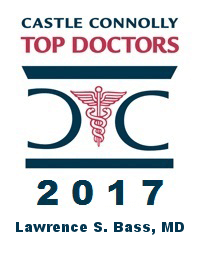 Dr. Bass and his staff will work with you to make the right choice from the many options available today. Natural looking results, and techniques that minimize recovery time and issues such as bruising, swelling and the visibility of incisions are the highest priority. We look forward to welcoming you personally in the office during a consultation.